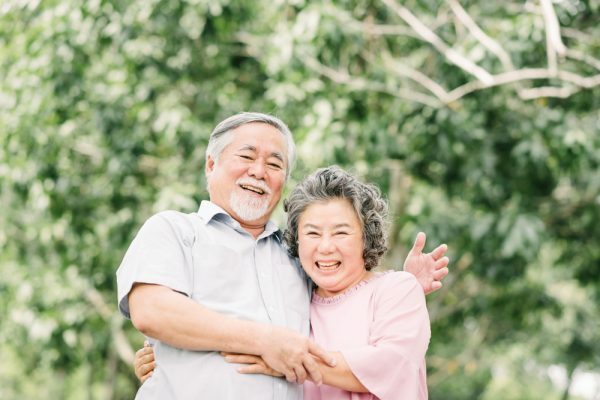 Understanding ElderShield & CareShield Life | A ‘Singaporeans Help Singaporeans’ Scheme? Worried about not having sufficient financial resources to take care of themselves if they meet with an accident or suffer an illness, a group of friends decided to come together at age 40 to form a self-help group. Their plan (where participation was optional) was this: On a yearly basis and over the next 25 years, to put in some money into a “tin can”. Henceforth, if anyone who is in the plan cannot perform 3 out of 6 of the activities of daily living (defined as washing, dressing, feeding, going to the toilet, walking, transferring from the bed to the wheelchair and vice-versa) because of an accident or illness, this unfortunate person can then take $400 per month for 6 years from this pool of fund so as to subsidise the cost of caring for himself. Your investment costs are just as important as your returns. Watch this video and learn how to build an effective and affordable investment portfolio. After many years, another group of friends decided to do the same thing. But this time, they decided to improve on the plan. They thought that since they are younger (age 30), if they start the same idea earlier and pay for the next 37 years, they can spread the payment years over a longer period. They will also make it compulsory for all their friends to participate. With these improvements, the pool of people participating can be bigger, the payment amount more affordable but the benefits can be better. So henceforth, if anyone who is in this new plan cannot perform 3 out of 6 of the activities of daily living, at the start of the plan, this unfortunate person can now have $600 per month from the pool for as long as he lives or till he recovers. What is ElderShield & CareShield Life? By now, you might have guessed it. The first idea is called ElderShield400 (an earlier plan called ElderShield300 pays $300 per month for 5 years) and the improved version is the newly announced CareShield Life which will start in 2020. Of course, the above story is an oversimplified explanation of what it is all about. In reality, things are not so simple. First and foremost, we don’t really believe that the money should be put in a tin can, do we? And also, someone neutral needs to administer the plan so as to make sure that only those who really qualify can take money out from the pool. We can’t just depend on our group of friends to do this. There is simply too much conflict of interest. And this reminds me of another story. A real one this time. In Sep 2014, a certain Mr. K (who was suffering from an advanced stage of kidney failure and already had his leg amputated earlier due to diabetes) started receiving ElderShield payouts. In Sep 2016, Mr. K went for a periodic reassessment and was assessed by the doctor to be moderately disabled and able to perform the activities of daily living with some assistance. Based on this assessment outcome, the insurer ceased Mr. K’s payouts from Oct 2016. An appeal was made for him in Mar 2017 which resulted in another assessment done. Based on that new assessment, the insurer restarted payouts from April 2017. But sadly, Mr. K (who was then staying in a hospice) passed away in May 2017. Here’s what you should know about how to start investing. But if we are fair, we will understand that the administrator of ElderShield, in this case the insurers (either Aviva, Great Eastern or NTUC Income) will need to do their job properly to ensure that only those who really qualifies should receive payouts. For if they don’t, they risk paying money to those who shouldn’t be paid which will result in not having enough money in the pool to pay out when someone really needs it later. Of course, the insurers will need to depend on the assessors (in this case doctors) to determine if a person really qualifies to receive payment from the pool. Now it is not clear if something has gone wrong with the assessment for the late Mr. K. as the Ministry of Health is still investigating it. But one thing is certain, we need to improve on the entire assessment process to ensure payouts are made speedily for genuine cases. So when CareShield Life (administered by the government instead and not private insurers) is launched in 2020, improvements will be made to the claims process for CareShield Life. Periodic assessments will be better targeted so that those who are permanently severely disabled do not need to undergo reassessments. When you invest your money, don’t just focus on the investment returns. Find out why. A more comprehensive understanding of the two plans can be found in the table below. Another gripe about CareShield Life is that for those who turned 30 years old in 2020, they have no choice but to join the plan. And we don’t like to have no choices. Furthermore, because it is a universal scheme, even those who have pre-existing disabilities will be covered with CareShield Life if they are between 30-40 years old in 2020. In short, the healthy people will be subsidizing the unhealthy people. How then should we look at this? I will like to encourage all of us to think of our healthcare schemes (whether MediShield Life or CareShield Life) as a Singaporeans-help-Singaporeans effort. In these schemes, our medisave monies are used to pay for the premiums. Every year, our employers and us contribute towards this. The government helped through the 4% p.a. interest in our medisave account (if we have $25,000 in your medisave account, we will get $1,000 p.a. interest which will likely be sufficient to pay your MediShield Life and CareShield Life premiums). For those who still cannot afford the premiums because of low balances in CPF account, there are government subsidies as well as other schemes such as medifund to tap into. Through all these, we are able to take care of as many Singaporeans as possible in their healthcare needs. All of us will know of unfortunate people who might be uninsurable. They might be our family members, relatives, friends or even people associated to them. Most of us if given the opportunity would want to help them and through the participation of these schemes, we helped these people who otherwise would not have healthcare insurances. Behavioural Investing? Find out what it is here. Other than December, my favourite month is August. It is the month that we celebrate our national day. Every year without fail, I will watch the national day parade (NDP). This year, I had the opportunity to attend NDP 2018 on the actual day at the floating platform. It was an awesome experience. Singaporeans from all walks of life, different races, languages or religions sang, cheered and did activities together. We renewed our commitment together by reciting the Singapore pledge: we the citizens of Singapore. Pledge ourselves as one united people…”. As we participate in MediShield Life & CareShield Life, we are coming together as one united people, regardless of race, language or religion (or medical condition), to help one another have the ability to take care of themselves when they can’t due to illness or disability. Happy 53rd birthday, Singapore! May we grow to become a more gracious nation. This article is contributed by Christopher Tan, Chief Executive Officer at Providend.